Buying a second-hand MacBook. A comprehensive checklist of what to do before buying a used or refurbished Mac. Apple's MacBooks are powerful stylish machines that are quite popular. However while everyone wants to have one, they are very expensive machines that are out of the range of most. While you could get a refurbished MacBook Pro from Apple, you can get it even cheaper from someone who is upgrading, or from a second-hand computer retailer. If you decide not to buy Apple's refurbished Macbooks with their one year warranty, you will have to be extra vigilant purchasing second-hand Macbooks. The following are some of the most essential things to check before buying used Macbooks, whether it be MacBook, MacBook Air, Mac Mini, iMac, iMac Pro or Mac Pro. Apple will tell you what model of Mac you have and the revision number of the given year. For instance, the result could be something like MacBook Pro (Retina, Early 2018). Apple has a hardware testing suite that can be downloaded online or for older models they come in the gray recovery DVDs or installed on the hard drive. The hardware test is very important as a computer may seem to be fine on boot, but may have serious hardware issues that may be very expensive to fix once you buy the computer. Ensure you have disconnected the Ethernet, display, mouse, keyboard and all external devices and that you are using AC power.
. Shut off the Mac and turn it on while holding the D key. This should bring up the Apple Hardware test. Follow instructions to proceed. Once you get the results, check for any error codes for system RAMs, a range of sensors, fans and other components and ensure that they are working as expected. This is one of the most important checks you need to do before purchasing second-hand MacBook. Batteries will not last forever and hence you will have to replace your Mac's battery at one time or another. Considering that it will cost you about $200 to replace the battery, you need to ensure that you can use the computer for a while before you replace it. Batteries and particularly the Lithium-ion batteries on MacBook work on what is known as battery cycles. A Mac's battery is usually good for between 300 to 1000 cycles after which it goes downhill fast. To check how many battery cycles your Mac has or has left hold the option key and click on the Apple logo that will typically be on the top left side of your screen. On the popup window select Power and then find the Cycle count. If the Mac has anything above 500 cycles you should not buy it unless the vendor is willing to replace it for you with a new one. All MacBook comes with the setting for configuring a firmware password that can aid the user in troubleshooting the system, configuration, and can also be used to prevent booting in single user mode or in safe mode. If you are buying a more recent model of MacBook, it is almost impossible to reset the firmware password. As such, you need to ensure that the seller has disabled the firmware password before you take possession of the machine. You can always check if the seller has enabled a firmware password by holding the Option key until the machine chimes. If you can see the boot menu and drives it means the firmware password is not set. However, if you see a password prompt. You need to ask the seller to disable the password first. It is critical to check the physical condition of the computer before you purchase the Macbook. You need to examine the computer carefully by closing the flap and opening it to check for loose hinges, check the speakers, microphone, and camera and ensure they are working as expected. Make sure that all the ports are clean and in good working order. 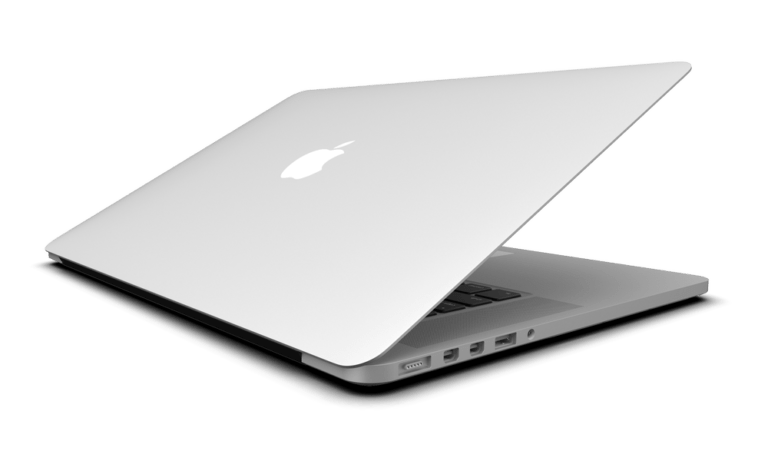 If the Mac has major dents or serious scratches on the body, you need to pass on it, as it could indicate rough handling that may have damaged internal components, however, small ones are not big issues if the hardware test was successful. Screens will wear out over time and the Mac screens from the MacBook Pro iMac and MacBook Air are no different. Screens typically have pixels and over time these die out leaving either dark or very bright spots on the display. To check that your second hand Mac's screen is in good working order, open a bright application that fills the entire screen such as word processing document. This will show any black spots on the display. Do the reverse for checking for white dead pixels but this time using a dark background. Check out the corners and edges as these typically wear out faster than the rest of the screen. Most old screens will have a dead pixel or two but if you find a group of dead ones, you better avoid that Mac. Replacing keyboards is expensive and hence you need to make sure the keys are working well before purchase. You can test the keys by opening the lid of the MacBook and opening any type of word processing document. Type on the keyboard by pressing on every key and checking to ensure that every letter and number appears as expected. Also, ensure that the keys have a solid bump and are not stuck up or down which could be evidence of careless or rough handling. Test out the caps lock and the arrow and space keys which tend to have more problems in old computers, since they are some of the most used keys on the keyboard. Apple makes exceptional keyboards and hence you should only buy the Mac if the keys feel right. Clicking the Apple icon on the menu bar. On the dropdown menu click about this Mac and then click on system report on the popup window. SATA on the hardware menu and then select SATA on the hard drive feature list. Scan the hard drive feature list, which will have the S.M.A.R.T. status of the Mac. If the status reads verified the hard drive is fine and you can buy it. If it reads Failing, it means the drive is dying or is going bad and would need to be replaced and hence you may need to pass on the computer. A Mac is a great machine whether you are getting it for professional needs or simply need it for some light entertainment or light browsing. If you are not careful you could end up buying a dud or a machine that will cost you a lot of money to replace parts or repair. Nonetheless, if you follow the tips and checks given in this article, you should be able to find a Mac in good working condition or one that will not cost too much to repair and maintain. There are good second-hand MacBook out there, you just need to find them.